Pagani Automobili S.p.A is well-known for creating some of the best super cars in the world. The Pagani history started when the company was founded in 1992 by former Lamborghini Engineer, Horacio Pagani. So, how did he get the idea to start a company of his own? Horacio, from an early age, loved making cars using balsa wood. These designs can also be seen at the Pagani Showroom in Italy, Pagani being one of the biggest names in Italian cars. 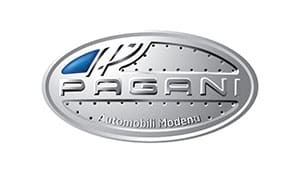 Continue reading to learn more about the Pagani logo, history timeline and latest models. Coming back to the subject, Horacio always wanted to build a car that could deliver high-performance. 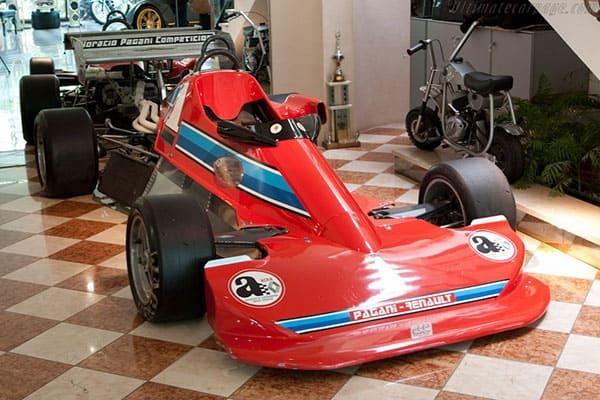 In fact, when he was about 20 years old, he built his first car which was a F3 Racer (picture below). Following his dream, he moved to Italy through recommendation of late Juan Manuel Fangio, who always played an important role in the inception of the company. By 1987, Horacio became the chief engineer at Lamborghini and even introduced the famous Countach Evoluzione Concept. In an effort to promote his design, Horacio suggested Lamborghini to purchase an autoclave to extend the production of the Countach Evoluzione. However, Lamborghini refused, saying that if Ferrari doesn’t need one, they don’t need one too. The same year, Horacio purchased his own autoclave by borrowing capital and in 1991 broke away from Lamborghini to found his own company, Modena Design. This company was established to make carbon fiber composites using the autoclave for Formula 1 cars and for clients like Aprilia, Daimler, and Ferrari. The business was going good and soon his efforts resulted in significant profits. Therefore, in 1992, he founded Pagani Automobili Modena with the sole purpose of fulfilling his dream: to introduce one of the best supercars in the world. After the company’s inception, Horacio began working full steam on the Pagani Zonda and constructed parts for his new vehicle in composite materials. In 1994, Juan Manuel Fangio joined Pagani and helped Horacio with the engineering of the Zonda. That same year, Modena Design constructed components for 250/400 racing motorcycles for the World Championship. 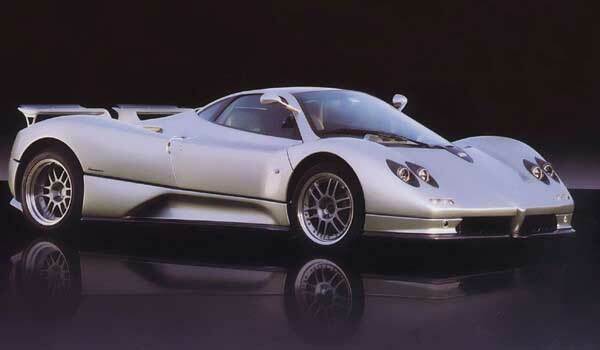 Work on the Zonda continued for 5 more years and finally the vehicle made its debut in 1999 at the Geneva Motor Show. The vehicle was first to be named as “Fangio F1”. However, following Juan Manuel Fangio’s death in 1995, out of respect, the company renamed the vehicle to “Zonda Wind” which is a regional term used in Argentina used to describe an air current. The car was an immediate hit and could accelerate to 60 mph in just 4.2 seconds. Only five of the original 6.0 L Pagani Zonda’s were built. 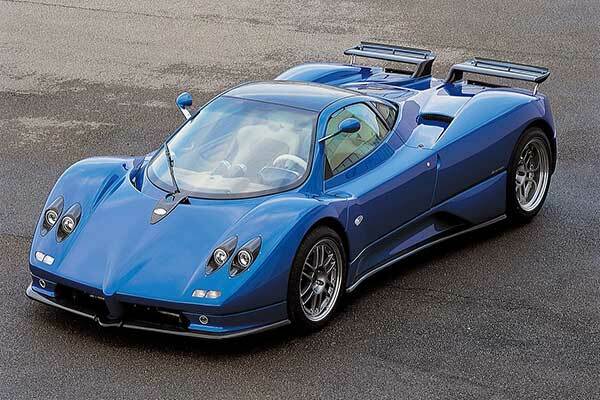 In 2002, the famous Pagani C12 S made its debut, which was an upgraded version of the 1999 model. Again, only a few models of this vehicle were built, out of which one was used for crash testing and the other as a show car. The remainders where then sold to consumers for the next three years. A woman in Switzerland is said to own the last C12. A year later, the Zonda S 7.3 made its debut. This vehicle used a larger and more powerful V12 engine, displacing 7.3-liters, thus replacing the traditional 6.0-liter. This was the first Pagani Zonda to have ABS and traction control offered as standard options. 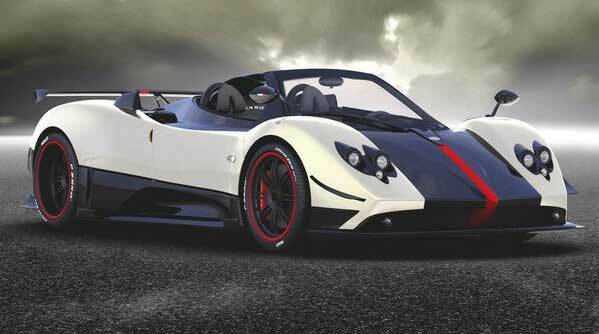 A few months later, a roadster version of the Zonda S 7.3 was released. Only a total of 40 of these Pagani Cars were manufactured. In 2005, the Zonda F made its debut at the Geneva Motor Show. The vehicle was named Zonda F to honor the late Juan Manuel Fangio. The vehicle used the same AMG engine used on previous models, but had a revised ECU, extra headlights, and new bodywork that improved the aerodynamics of the vehicles and increased overall speed. A year later, the Pagani Roadster F made its debut. The vehicle was similar to previous models. The only difference was it had a removable carbon fiber roof and canvas side curtains. The vehicle made an appearance on the popular BBC show “Top Gear” and costs around $825,000. Over the years, the Zonda Cinque and Tricolore were also introduced and in 2011, finally the Pagani Huayra made its debut. 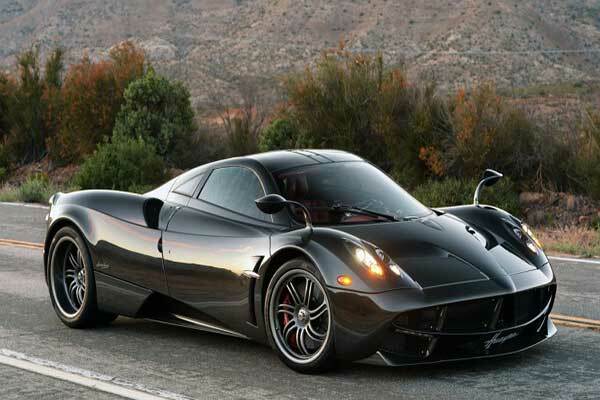 Pagani is still under the control of its founder (Horacio Pagani) and an independent company. However, the company does have working relationships with Mercedes-AMG and Daimler AG. In fact, the new Pagani Huayra uses Mercedes’ V12 Bi-Turbo M158 Engine. Not to mention, most of the cars introduced by the company are incredibly fast and can go from 0 to 60 mph in just about 3.2 seconds. Horacio Pagani’s original inspiration for setting up a company and manufacturing a car was from Leonardo da Vinci. The Pagani Huayra is made of more than 4000 components, excluding the gearbox and engine. Additionally, the Huayra badge only takes 24 hours to craft. This is because it is made out of a solid block of aluminum. The Pagani Huayra is named after the Incan god of wind. The company only plans to build 40 each year, which will be available for a price tag of $1,000,000. The Pagani Huayra has won the Performance Car of the Year award, the EVO Car of the Year award, and was rated as the fastest road car ever to appear on the BBC show “Top Gear”. As you can see from the history of Pagani, the company doesn’t have a long history of sports cars like Ferrari and Lamborghini. Regardless, all models introduced by the company deliver exceptional speed, comfort, performance, and comfort, thus listing Pagani as one of the world’s best super car manufacturer.